Last year, our garden turned into a disaster. The boxes were great, but the plants did not do so well. Since I had to water the plants by hand, they ended up not getting enough water, so most of the plants died and the only thing I really got was a million cherry tomatoes. 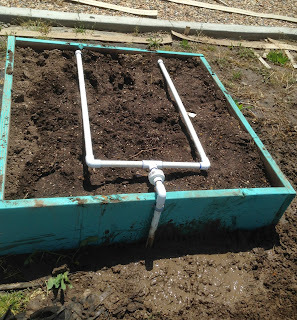 This year, I told Matt that I needed a watering system connected to our secondary water. He was kinda peeved because he suggested that we add a sprinkler/drip system way back when we built the garden, but I knew better and said, "I'll water by hand, its better for the plants..." Needless to say I was wrong and he was right. Matt was a trooper. 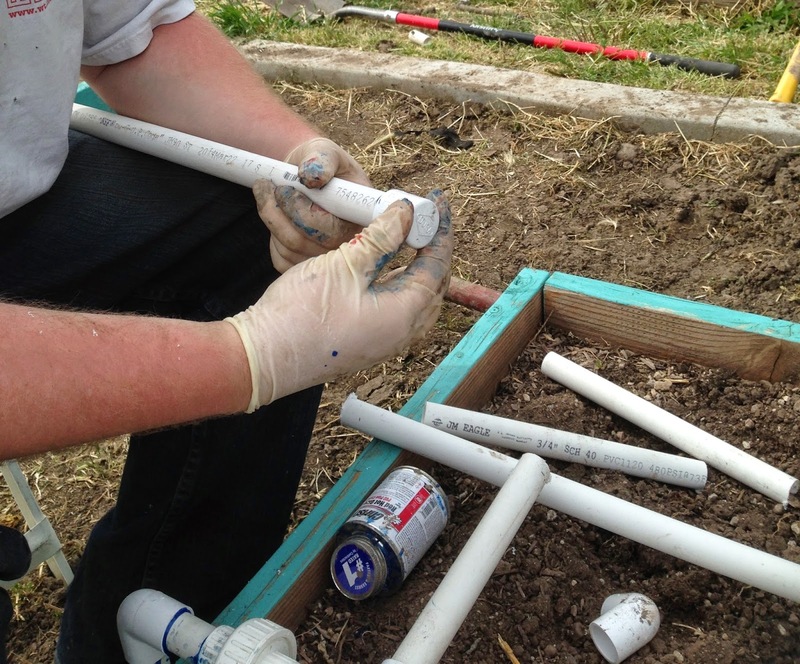 He dug trenches (he despises digging trenches, he still has PTSD from digging trenches for our sprinkers) and connected the PVC pipe into our existing secondary sprinkler system. 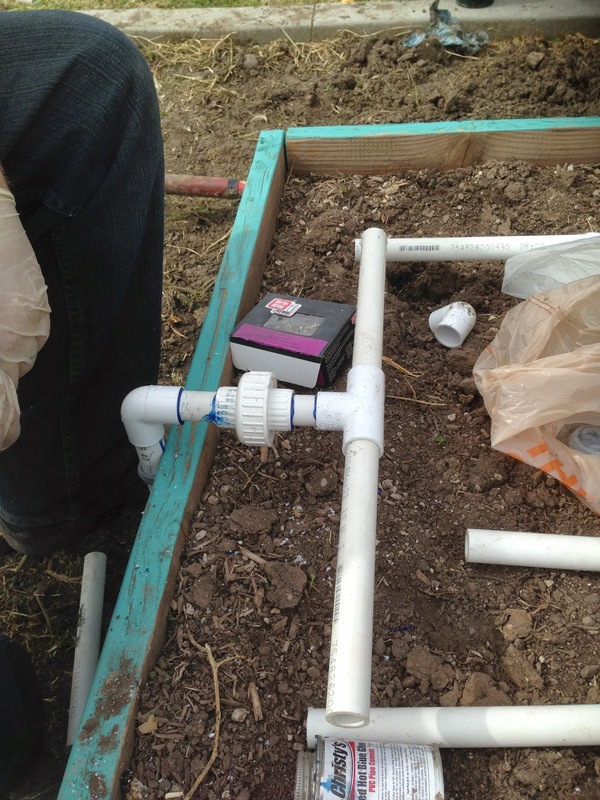 We based our system on this article Matt found on the USU Extension website. Go HERE to read it. 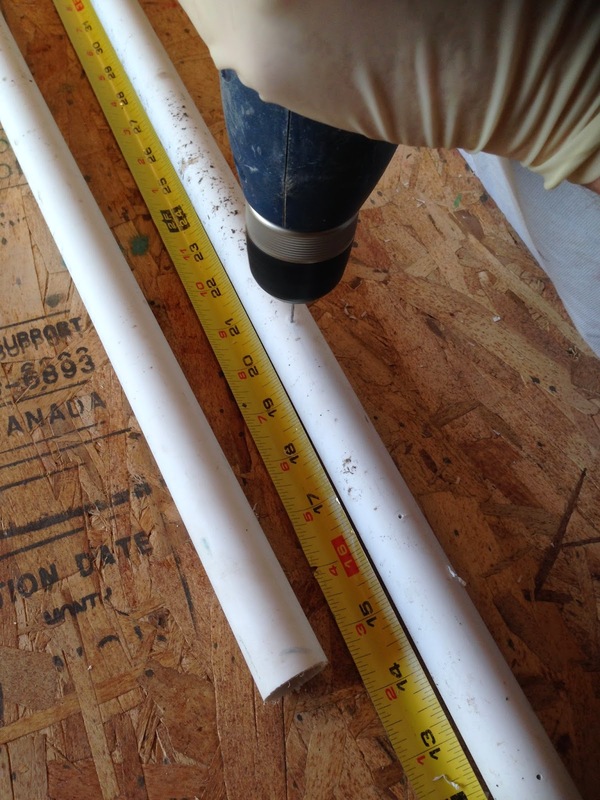 Every four inches he drilled a 1/16 hole into the PVC pipe. 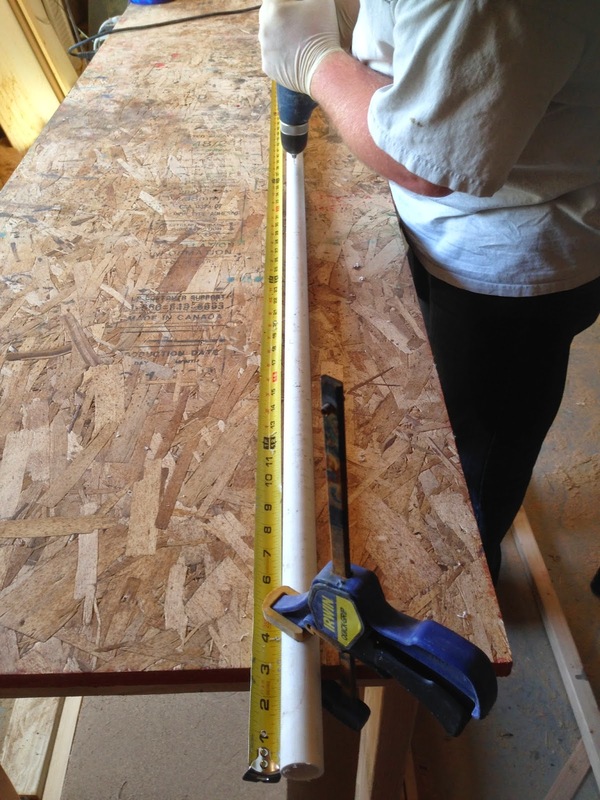 Every three feet, he drilled a drainage hole on the bottom of the pipe. Matt glued some end caps on the end of the pipes. Or you could add another length of pipe and connect it by elbows to make a square. My mom did her system like that. Using some pipe, elbows, tees, and a connecter thing (it allows us to be able to disconnect the pipe) he created our garden box sprinkler system. Matt then glued all the pipes together. He wished he attached more connecter pieces instead of permanently attaching everything. This way the connecter pieces would allow us to adjust and twist the pipe to better aim the water. 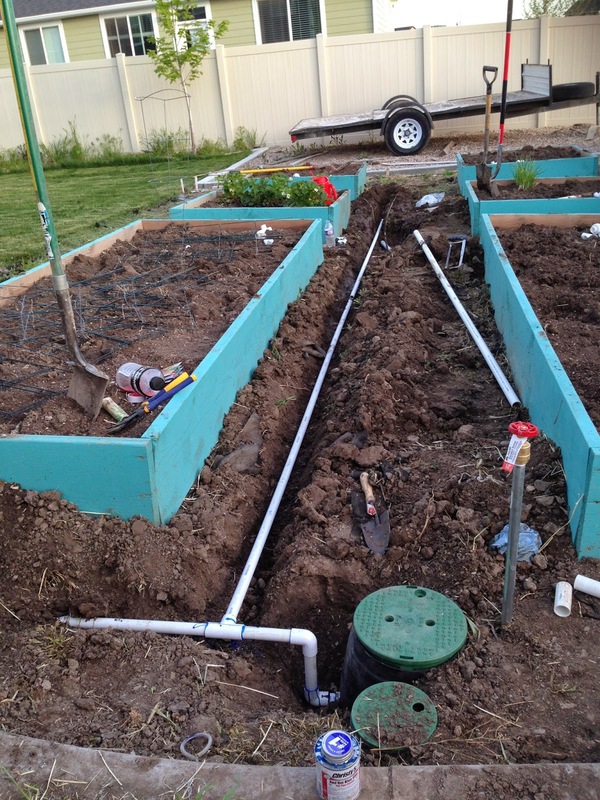 This picture was taken before Matt added a valve that would allow us to turn the pressure down. When it waters now, the water doesn't shoot so high in the air. I spent an afternoon planting corn, pumpkins, cucumbers, tomatoes, basil, watermelon, and pepper. I have one box dedicated for strawberries. We still have a lot of work to do to finish the garden area. We need to finish a cement boarder, lay more weed guard down (the weed guard we laid last year pretty much disintegrated) and then add some pea gravel. 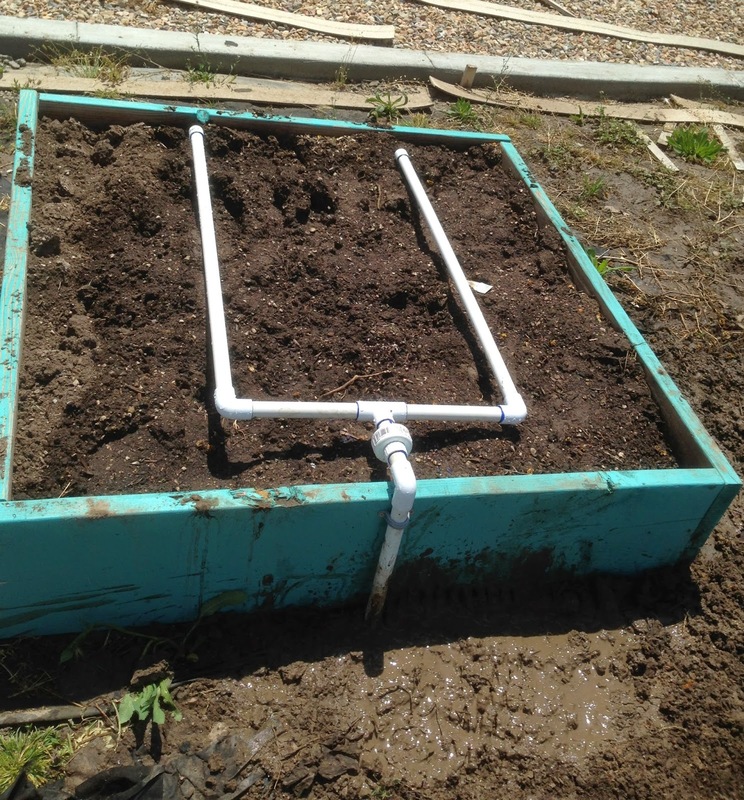 I'm just glad we got this major part done so we can actually grow things!